Those flat brown spots known as age spots (also commonly referred to as liver spots) that start popping up on your hands, neck and face as you get older are actually not caused by age, but sun damage that accumulates over the years. They’re more common in those with a fair complexion and appear more frequently in people who visit tanning beds or spend a lot of time in the sun. But whatever the reason for their occurrence, while age spots aren’t dangerous, they can make you look older, which is why so many people look for ways of removing them. There are a number of medical procedures that can treat age spots, however, each one comes with a list of potential side effects and complications, not to mention a high cost. Those include laser therapy that destroys the cells that produce melanin; dermabrasion, which works by sanding off the skin’s outer layers, allowing new skin to grow in its place; chemical peels that work in much the same way, but burn the outer layer of the skin, and cryosurgery, which freezes age spots with liquid nitrogen. 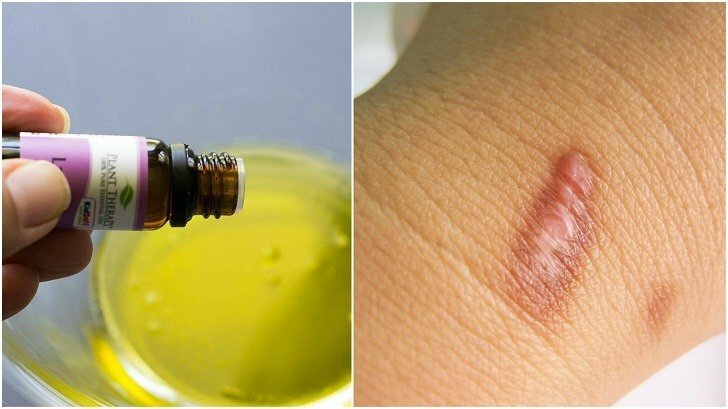 Instead, why not try one of these 14 great home remedies known to reduce the appearance of age spots – they cost pennies to make and come without the side effects and complications too. As apple cider vinegar naturally contains alpha hydroxy acids, it makes an excellent skin exfoliator, similar to those pricey anti-aging creams to help lighten those age spots. Just dab a little of it onto affected areas of the skin just before bed and leave it on overnight. To protect the skin from drying out too much, you can mix in a little olive oil which will leave it feeling soft and smooth. Repeat each day, and within three to four weeks, you should see a noticeable difference. You can make this remedy even more effective by adding horseradish, however, it will take a little more time to put together. To do so, finely grate a 4- to 5-inch piece of horseradish and add it to your apple cider vinegar. Mix well, and then allow it to sit undisturbed for two weeks. After the two-week period, shake well and then strain the vinegar into a storage container with a lid. Apply the mixture to your age spots once or twice each day until achieving the desired results. Keep in mind that it is normal to experience slight redness or stinging initially, as you would with a store-bought toner, but if irritation is severe, discontinue use, or try diluting the mixture with water. Apple cider vinegar is an incredible ingredient to put on your face. Here are five reasons you should add it to your beauty routine. Buttermilk has lactic acid in it, which not only helps to restore and rejuvenate the skin, it can diminish age spots and make it healthier in the process. All you need for this remedy is a small bowl of buttermilk and a cotton ball. Dip your cotton ball into the bowl of buttermilk and then squeeze it to remove excess buttermilk. Apply the cotton ball onto your age spots and allow it to sit for about 15 minutes; rinse with lukewarm water. If you have acne prone skin, add a few drops of lime juice to the buttermilk before use. Repeat on a daily basis until the spots fade. You can take this remedy up a notch by using buttermilk to wash your face or even enjoy a buttermilk bath. Lemons are one of the most effective remedies for naturally lightening age spots as well as freckles and other dark spots on the skin. They contain citric acid that helps by safely removing dead skin cells to reveal new layers of skin, similar to some medical procedures, while also providing a healthy glow. It’s important not to go out in the sun right after applying, as that can actually cause the skin to darken more than it was before. Also be aware that if you have extra sensitive skin, lemons can cause irritation and redness, – if that’s you, you may want to consider one of the other home remedies instead, or diluting it with rosewater first. All you need for this remedy is a lemon and a knife. Slice up your lemon and then rub one of the slices onto your age spots. Allow the juice to sit for about 15 minutes before rinsing. Store remaining slices in the refrigerator for later use. For the best results, repeat the process twice each day until age spots diminish. Onions can be effective for age spots as they contain sulfur compounds which serve as an antiseptic, as well as acids that help to exfoliate the skin. While the smell isn’t exactly pleasant, this is a great remedy for those who find lemons or vinegar too irritating. All you need is a knife and an onion. Slice up the onion and rub it over affected areas two to three times daily. Leave it on for 10 to 15 minutes and then rinse well, until the odor has dissipated. For greater effectiveness, mix a tablespoon of onion juice with two tablespoons of honey and follow the same instructions. Most people work to get rid of dandelions in their lawn and gardens, but dandelions are actually a fabulous herb with numerous health and beauty issues, including being a great home remedy for age spots by helping to eliminate dead skin cells and rejuvenate the skin. Simply pull some dandelions from your yard and break off the stem. Rub the sap that oozes out onto your age spots. Apply twice a day, leaving on for several minutes before rinsing. You’ll notice the spots begin to fade, and your complexion will be clear and more radiant too. Alternatively, try this homemade Dandelion & Coconut Oil Moisturizer. Papaya contains alpha hydroxy acids and certain enzymes that can help exfoliate the skin as well as reduce blemishes, age spots, and other skin problems while also giving your complexion a more glowing appearance. Do keep in mind that as some people are allergic to it. Experts advise doing a 24-patch test first, which simply means applying to just a small area of the skin the first time you use it, waiting 24 hours, and if you experience no reaction, you can proceed further. To use the papaya remedy, you’ll need a green papaya and a knife. Cut off a thin slice of the skin and the hold the fleshy side of the papaya to all age spots for about 20 minutes. As an alternative, you can cut up the papaya into tiny chunks and then press them into a pulp using a fork. Apply the pulp to your age spots and then allow it to sit for about 20 minutes before rinsing. Use this remedy once each day for the best results. Aloe vera is well-known as a great remedy for many skin ailments, from poison oak and stinging nettles, eczema, age spots and beyond. It offers both moisturizing and anti-inflammatory properties that keep the skin feeling fresh, young and hydrated too. For the best results, use an aloe vera plant (found at most garden stores, nurseries and even some grocery stores), but if you can also use aloe vera juice which can be purchased online and at health stores. If you have the plant, just break off one of the leaves and rub a little of the gel that oozes out onto your age spots. Allow it to soak in – there is no need to rinse, though it can feel a bit sticky. If you want to wash it off, be sure to let it sit for at least 30 minutes first. Repeat twice a day until desired results are achieved. Yogurt not only contains lactic acid, it offers mild bleaching properties that are known to help make the skin lighter by several tones, fading those brown spots over time. To use this remedy, you’ll need a tablespoon of yogurt, two tablespoons of ground oatmeal, a teaspoon of fresh-squeezed lime juice, a small bowl and some cold water. Add the yogurt, oatmeal and lime juice to the bowl and mix well to form a paste. Apply the paste onto affected areas and allow it to sit for about 30 minutes before rinsing with the cold water. Afterward, pat dry and add moisturizer. Repeat the process every day for a week, and then twice each week for two to three months for the best results. Sandalwood essential oil contains anti-aging compounds that make it effective for fading age spots. You can use it by massaging a few drops of the oil (which you can buy here) diluted in a carrier oil (such as sweet almond oil) directly onto affected areas. To up the effectiveness, mix a pinch of sandalwood powder with about two drops each of lemon juice, glycerin. and rosewater to make a paste. Apply the paste onto age spots and allow it to dry (about 20 minutes) before rinsing with cold water. Red currants are packed with antioxidants, and by applying them topically to the skin, it not only helps to boost the skin’s healing abilities, enabling it to naturally diminish age spots, it also offers protection from harmful UV rays and free radicals that cause age spots, and make the ones you have even worse. You’ll need about a quarter cup of unripe red currants, a tablespoon of honey, a few drops of lemon juice and a few drops of rosewater. To make, mash the red currants to form a paste. Add honey and mix well. Apply the paste onto your age spots and allow it to sit for about a half hour before rinsing with warm water. Afterward, mix the lemon juice with rosewater and apply the solution to the spots and rinse. Chickpeas, or garbanzo beans, can be used as an excellent face mask for fading age spots. For this home remedy, you’ll need one cup of chickpeas, a quarter cup of tahini, some water, and a food processor. Cook your chickpeas and then blend then in your food processor. Add the tahini, and then add a little water at a time until the mixture is the texture of a thick pudding. Apply to your spots, or all over the face, and allow the mask to dry completely, for 30 minutes, before rinsing thoroughly until it’s been completely removed. Tomatoes are an age-old remedy for treating those stubborn brown spots, thanks to certain enzymes and their high lycopene content, a powerful antioxidant, as well as bleaching properties known to effectively lighten the skin. Simply slice up a tomato and rub one of the slices onto affected areas, or apply pure tomato juice directly onto your age spots. Either way, leave the juice on for 20 minutes and then rinse using cold water. To up the effectiveness, mix in a bit of organic honey into the juice of the tomato. Repeat the process once or twice a day until results are achieved. Castor oil is famous for its ability to help heal the skin from a variety of conditions, including treating age spots. All you need to do to use it is to apply a bit of the oil onto affected areas and then massage it into the skin for a minute or two, or until it’s well-absorbed. Repeat twice each day, once in the morning and once at night – improvement is typically noticeable in about four weeks. Those with dry skin may want to add a bit of olive oil or coconut oil for moisture to prevent added dryness. We’ve dedicated an entire article revealing the many incredible ways you can use castor oil. Get yourself a bottle here and then read our article here. The juice of a potato is acidic and also offers bleaching properties, making it great for removing age spots as well as blemishes and freckles. The most effective recipe for eliminating those brown spots calls for potatoes, lemon juice, and honey. First, wash a potato thoroughly, removing any green spots or sprouts. Now, grate it up and place the shreds in a linen cloth and squeeze out the juice, or use a juicer. Add three drops of lemon juice and a few drops of organic honey to the potato juice and mix well. Apply the mixture onto your age spots and allow it to sit for 20 minutes before rinsing.